Kayleigh Ross had been making do with a DIY'ed website on Blogger for her photography business. Over the past few years she amassed a great deal of followers and her photography business was doing extremely well. 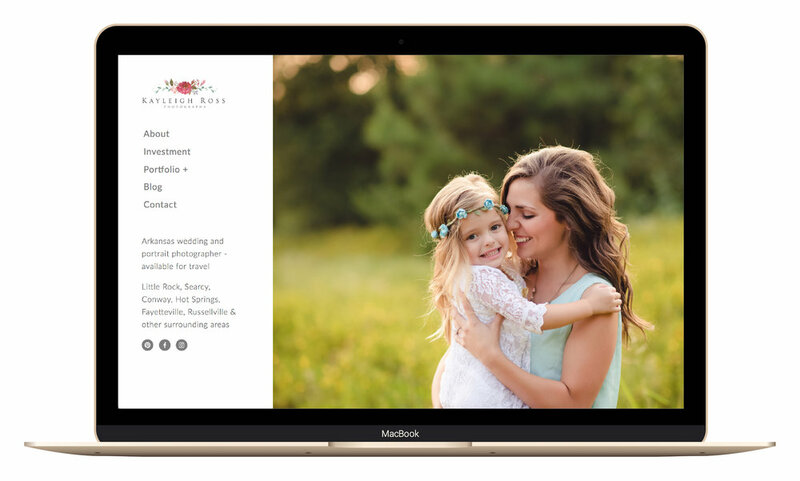 She needed a website that showed off her amazing photography talents and reflect the quality business she was running. After a chance meeting online, we prepared to get Kayleigh set up on Squarespace. Kayleigh completed her brand + style questionnaire and showed me some of her inspiration websites. She really wanted her photos to shine through and be the centre of attention on the site. We settled on the Wells template, with the navigation stuck to the left hand side of the page to make it easy to click through the pages of the site at all times. 3 words to describe what Kayleigh was looking for? Elegant, professional & easy to navigate! After our initial consultation call, I got to work creating a mood board + color palette that brought to life everything she had told me she'd like to see style-wise for her new online space. We were lucky that Kayleigh has plenty of fabulous photos, so we used her own photography in the mood board + color palette. After Kayleigh 'approved' her mood board + color palette by saying, "Oh my gosh I love!!!!!! :) Love love love!" I got to work on the website itself. JPEGmini came in extremely handy for this website as Kayleigh's photos are of the highest quality, and therefore, are some very large file sizes. As is the case with all sites created with my studio, in the first week I created every page of the site, and then sent it off for requested edits. Kayleigh had the week to request as many edits as she would like, and on the final Friday, we hopped on Google Hangouts for her Squarespace lesson. We went through everything Kayleigh would need to know to update and edit the site over time, so she would be completely self-sufficient moving forward. How did Kayleigh find working with the Paige Studio? She added to the studio's 5 star reviews on Facebook. "Paige was absolutely amazing to work with. She's extremely friendly, and took my vision and brought it to life. 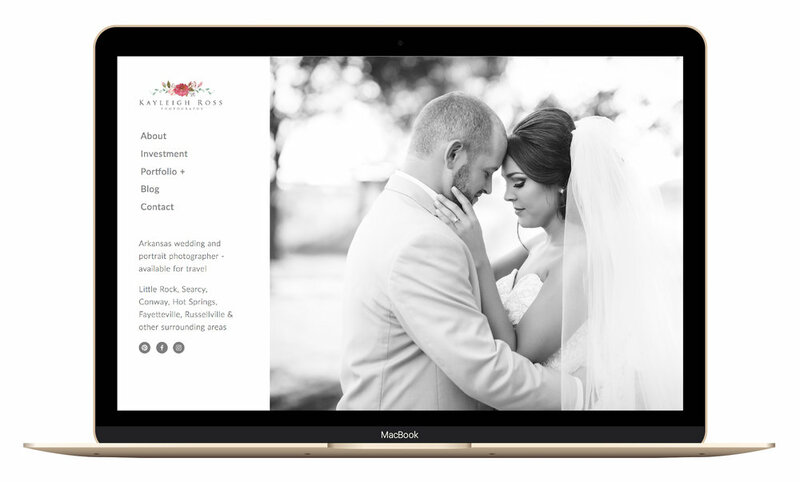 So glad I hired her to create my new website, and I would recommend her to anyone and everyone!" Thanks for the kind words! You bet next time I'm in Arkansas, I know who I'm asking to take my photos for me! And of course, if you're also looking to partner up to bring a stunner of a website to life, visit the website design services page.